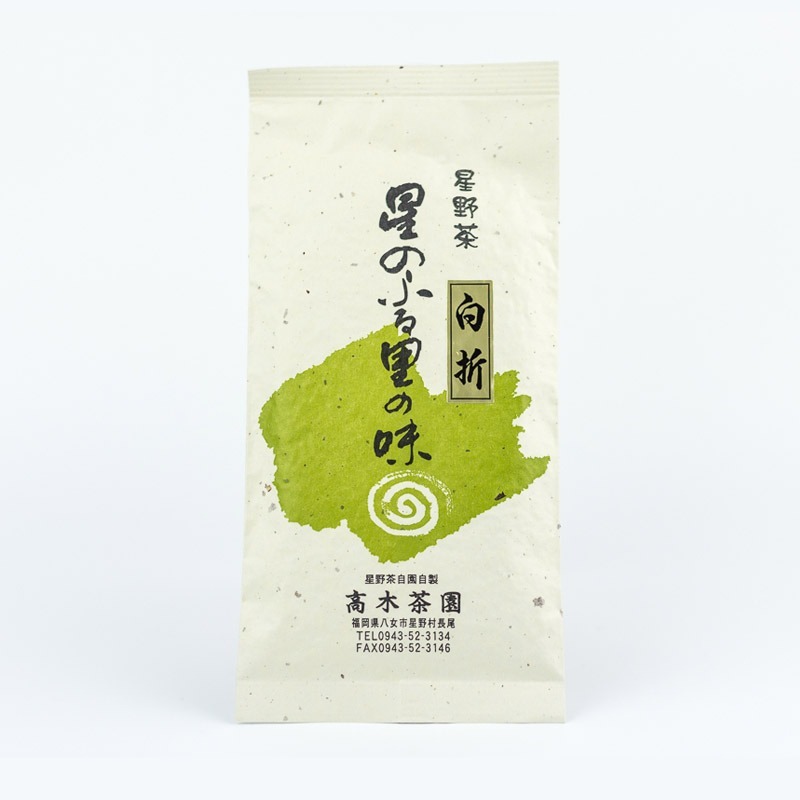 This premium tea comes straight from the shimmering green fields of Hoshino. 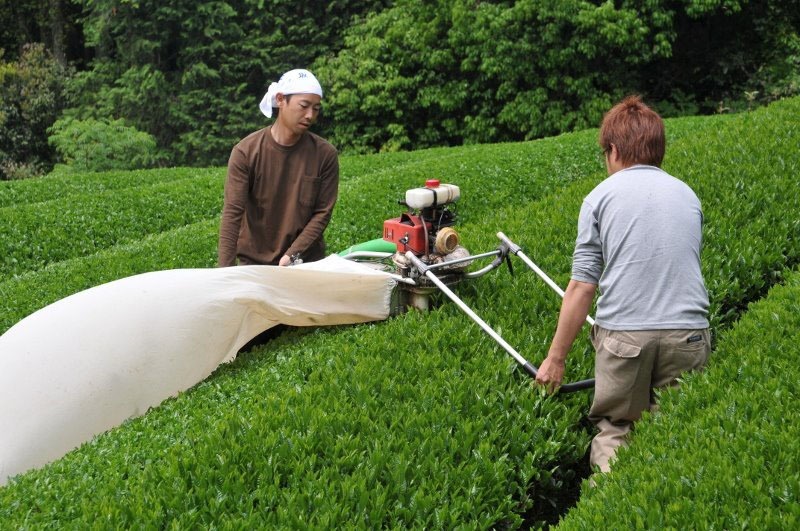 Hoshino is located in Yame, Fukuoka, which is known as one of Japan’s best regions for growing green tea. 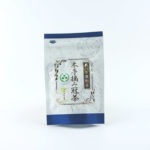 The fresh tea leaves are processed and packaged on-site, keeping its aromas fresh and ready for you to enjoy. 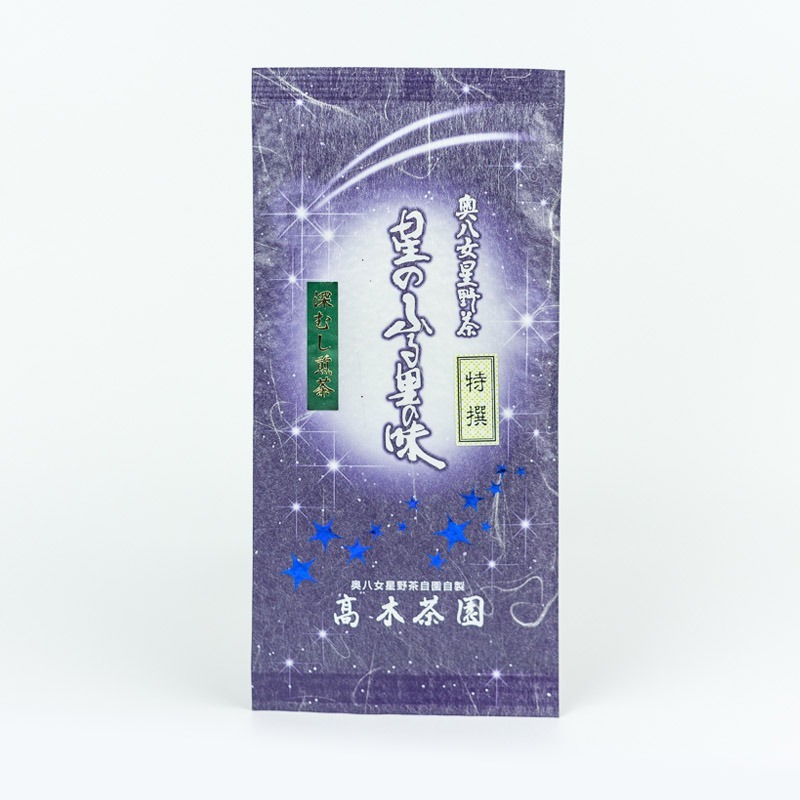 Carefully-grown new shoots are covered to block out sunlight for 1 week before being picked. 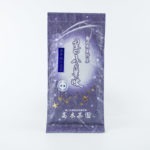 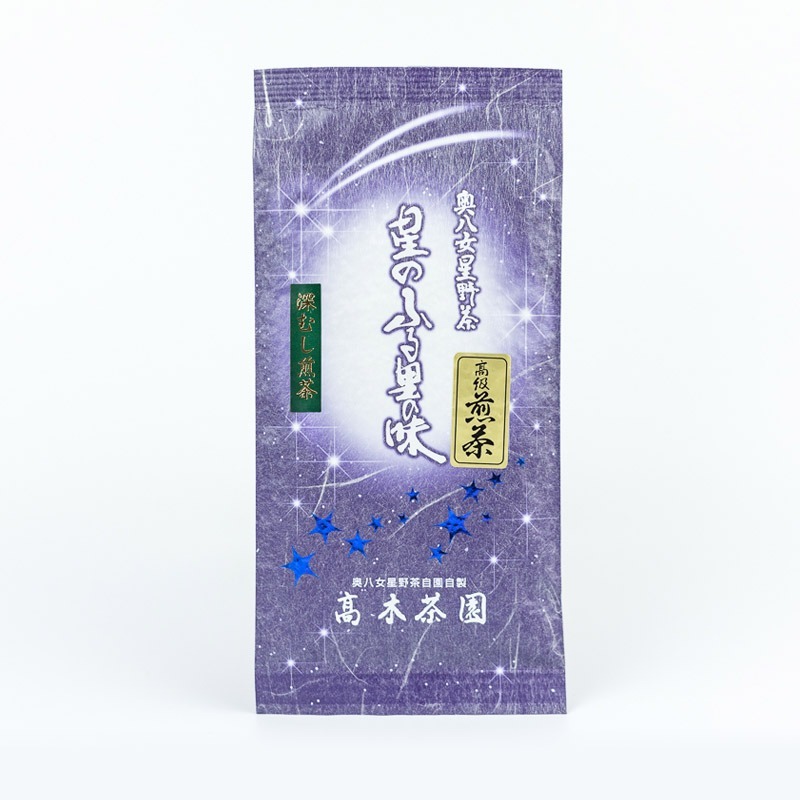 This brings out the flavors of the resulting “Kabuse-cha” tea and preserves its vibrant coloring. 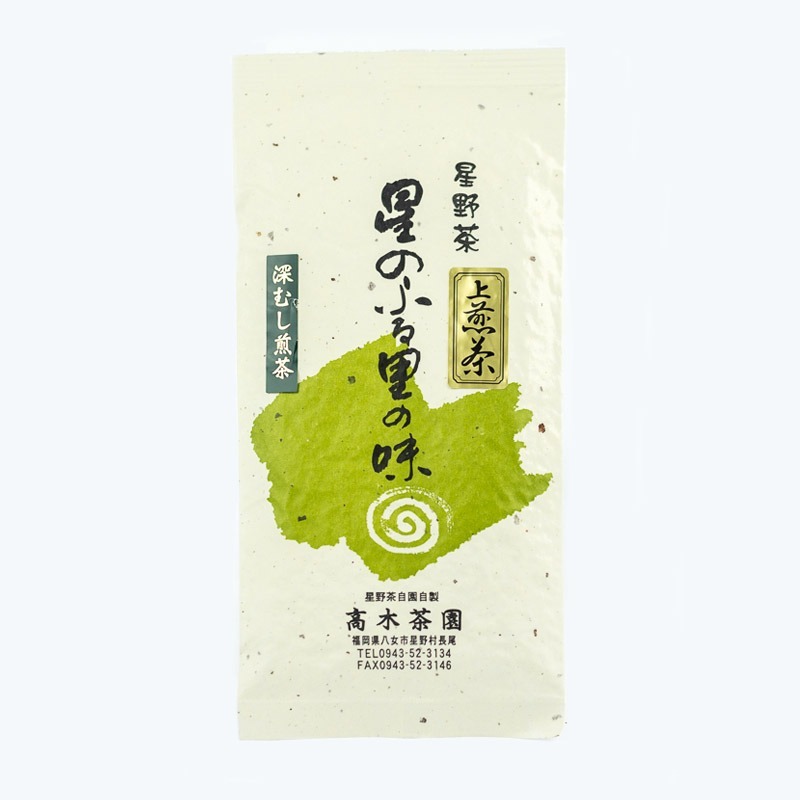 The rare variety Fuji-midori is expertly blended together with rich-tasting Oku-midori leaves.